We are organizing a workshop to bring together Okanagan local governments and utilities with provincial drought response staff for Q&A and information sharing. Bring your questions. 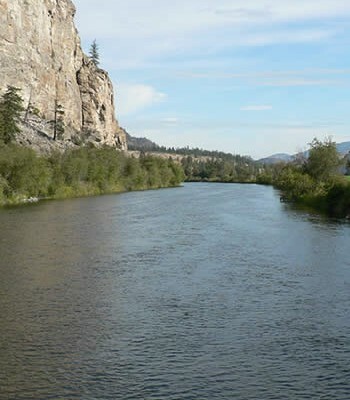 The workshop will support a better understanding of drought response planning and how Okanagan water utilities; First Nation, senior and local governments; and other water agencies may respond to current and future water shortages. Emphasis will be on collaborative and collective action and a basin-wide approach to drought planning and managing during times of water scarcity – considering a number of important perspectives including our Okanagan fishery, economy and agriculture producers. The Nicola, Kettle, Similkameen, and South Thompson have been in Level 4 for about a week, and some streams have had mandatory restrictions imposed. This is a first for BC. In 2009, one license holder in the Nicola was forced to curtail withdrawals under the Fish Protection Act. Now regulations are being applied to many license holders simultaneously. https://news.gov.bc.ca/releases/2015FLNR0218-001222 . 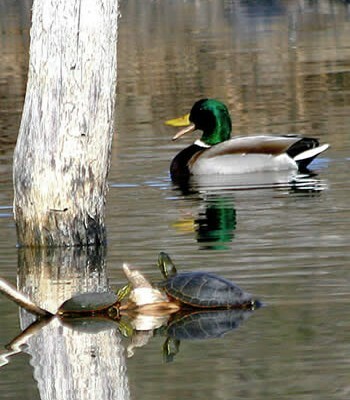 As an international water body, Osoyoos Lake is operated under the Boundary Waters Treaty. 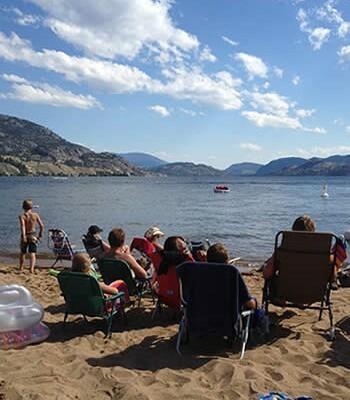 On July 31, the International Osoyoos Lake Board of Control issued a drought declaration. This allows the lake level to be raised by 6 extra inches, or drawn down by 6 extra inches. This was also a first – they didn’t anticipate such a late onset drought, and had to do the declaration under a variance of their orders. Even with the added management flexibility for the Zosel Dam operator, there will be challenges. 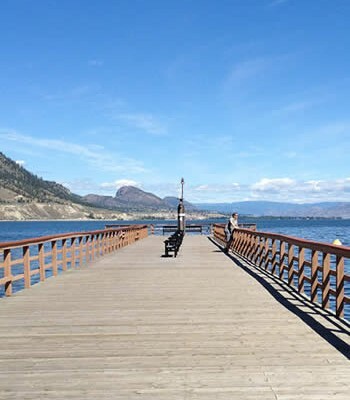 The dam operator for Okanagan Lake is holding back as much water as possible to use for fish flows later in the season, and as Zosel Dam needs to continue releases for fish and license holders downstream, this means that any increases in levels will most likely come from rain events, and we are likely to see more draw down on Osoyoos Lake. There’s some good information at this link, including real-time lake level trends: http://ijc.org/en_/iolbc/Lake_Level_Status_and_Trends. The lake level trajectory does not take into account any additional releases for fish. We are at base inflows and outflows, and the other main parts of the water balance are withdrawals, evaporation, and groundwater. They may need to release more water for sockeye salmon later in the year, working with the federal fisheries and the Okanagan Nation Fisheries department. We are looking at a long-range forecast for continued dry conditions (see below), and water conservation now will reduce risks of shortages and increase options for the future. 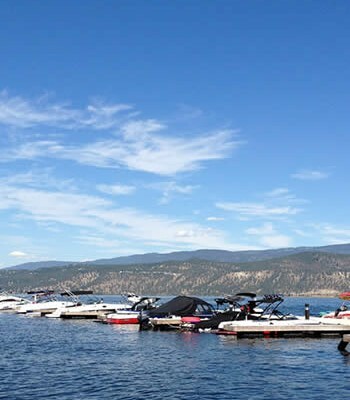 It’s easy to look up Okanagan Lake levels. 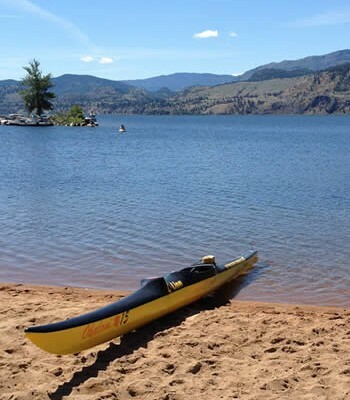 Go to: wateroffice.ec.gc.ca, and type “Okanagan Lake” into the box marked “Station Name”. You can then select a date range to look at trends. Our friends at Environment Canada sent along the following updates today. Following an abnormally dry spring, the first half of summer has also been much drier than normal. The southwest corner of the province and the southern Peace have been particularly dry. Conditions over northern regions have benefited from near-normal or wetter-than-normal conditions. In terms of temperatures, the presence of an abnormally warm pool of water over the northeastern Pacific has resulted in monthly mean temperatures 3 to 4 degrees warmer than normal which contributed to higher evaporation rates. Several locations set new records for the warmest June on record, -some records going back to the late 1800’s. The recent rains experienced across much of BC have provided a period of welcome relief by reducing fire behaviour and new starts for a short period. However, the rain was insufficient to mitigate the underlying drought conditions, especially in the southwest. The northern areas received more rain than the south and unsettled conditions are forecast to continue which will reduce the rate of drying of the forest fuels. Strong drying is expected in the south and could return us to a period of significant and challenging wildfire activity. The weather outlook through August for the southern part of the province suggests the reprieve from heavy fire activity could be short lived. As warmer than normal conditions are forecast by most models and the forecasts for drier than normal conditions are becoming more consistent. 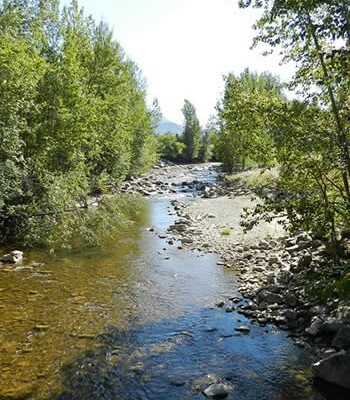 Low water levels and warm water temperatures can be associated with severe stress and early mortality of migrating salmon. Conservation and the sustainable use of the fisheries resource continue to be a top priority in Fisheries and Oceans Canada’s (DFO) management of salmon. DFO is taking a cautious management approach to ensure adequate numbers of salmon return to their spawning grounds. It is very important, from the perspective of conservation, for all groups and individuals to respect any fishery closures that are in place. 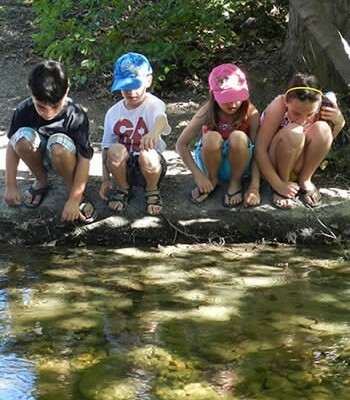 Up-to-date information on fishing is available on DFO’s website: http://notices.dfo-mpo.gc.ca/fns-sap/index-eng.cfm . Weather forecast models have been hinting at a change in the large scale circulation pattern over western Canada this week. The blocking ridge of high pressure over the Pacific Northwest that has been dominating our weather pattern this summer will change to a more transient pattern as of Wednesday August 5th. A series of troughs will cross BC during the latter part of this week giving rise to widespread showers and cooler temperatures. How long this more transitory pattern will remain is not yet clear. Climatologically, August is one of the driest months of the year. Should the long wave trough remain in place for several weeks, regular showers with slightly cooler than normal conditions could be expected. The precipitation would help alleviate forest fire conditions but do little to alleviate the severe drought over southwestern BC. Given the continued presence of warmer than normal sea surface temperatures over the northeastern Pacific, the forecast calls for warmer than normal conditions throughout the extended period. Along the equator where El Niño conditions are monitored, positive sea surface temperature anomalies have continued to strengthen this summer. Climate models indicate a greater than 90% chance that El Niño will continue through winter 2015-16, and around an 80% chance it will last through early spring 2016. For the west coast, El Niño falls and winters are typically warmer than normal and slightly drier than normal with a higher proportion of precipitation falling as rain. It’s great that we’re likely to have some rain this week, but (fingers crossed) no forest fires. Previous drought updates are given below. If you have specific questions you’d like us to follow up on, please let me know. The local drought response contact for the province is Ray Reilly in Penticton (Phone: 250-490-2218, Email: [email protected]).